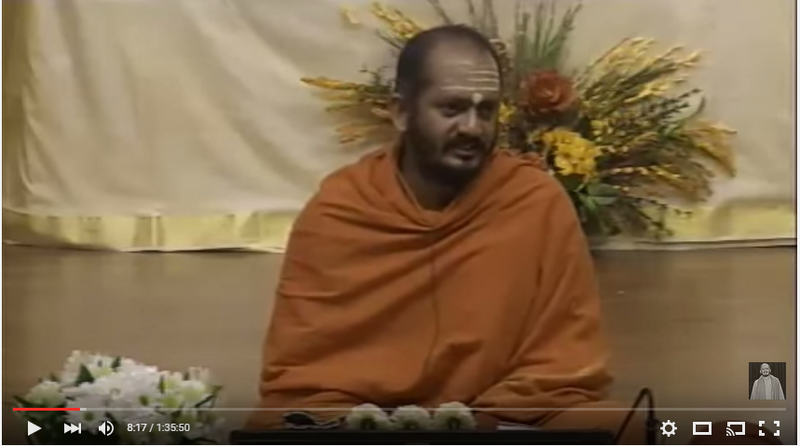 Pujya Swami Tapovan Maharaj was the very embodiment of the ideals of sannyāsa, endowed with supreme renunciation, deep wisdom, saintliness, austerity, and compassion, a true virakta mahātma. 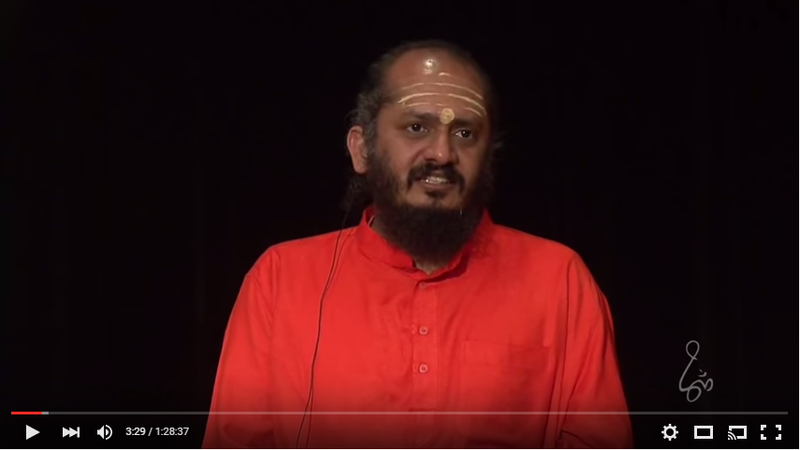 Swamiji was born in 1886, in the village of Mudappalur in Palghat district to Balamba and Achutan Nair. His parents named him Subramanyan, but they lovingly called him Chippu Kutty. After the untimely death of his father, Swamiji left his home at the age of 28 to heed the call of the divine, eventually taking up residence in a one-room thatched hut in Uttarkashi, which came to be known as Tapovan Kutir. It was here that Gurudev sat at the feet of the great master for a total of seven years absorbing Vedantic knowledge. Swami Sivananda, founder of the Divine Life Society and thediksha guru of Pujya Gurudev, was born on 8 th September, 1887 in the village of Pattamadai on the bank of the river Tamraparani in South India to Sri P.S. Vengu Iyer and Srimati Parvati Ammal. The happy couple named their son Kuppuswamy. Kuppuswamy was an intelligent and mischievous boy who showed signs of renunciation and love for his fellow beings since his early childhood. After completing his medical studies in Tanjore, Swamiji started his practice in Tiruchi. In 1913 he left India to go to Malaysia where he was highly acclaimed as a kind and sympathetic doctor with a charming and majestic personality, who was always ready to serve those in need. His immense philanthropy and spirit of service and renunciation endeared him to all. People lovingly called him the “Heart of Love”. The dormant spirituality in Swamiji was ignited by a gift; a book by Sri Swami Satchidananda entitled Jiva Brahma Aikyam. He began to study the works of Swami Rama Tirtha, Swami Vivekananda, Sankara, Imitation of Christ, the Bible, and literature of the Theosophical Society. After much intense reflection, he left his lucrative practice, returned to India in 1924, where he was initiated into sannyasa by Swami Visvananda and given the name Swami Sivananda Saraswati. Swamiji founded the Divine Life Society in Rishikesh, in the year 1936 in a small, dilapidated kutir on the banks of the Ganga. From this humble beginning the Society grew imperceptibly and it is now the headquarters of a world-wide organization with a large number of branches both within the country and outside. The Yoga Vedanta Forest Academy Press was established in September 1951, a powerful means of wide dissemination of knowledge. The small dispensary that was inseparable from Swamiji grew slowly and became a regular hospital with x-ray and other facilities. The Sivananda Eye Hospital was formally opened in December 1957. The Society’s Silver Jubilee was celebrated in 1961, by which time the Master saw the fulfillment of his mission in his own lifetime. Swami Sivananda radiated his divine and lofty message of service, meditation and God-realization to all parts of the world through his numerous books, periodicals and letters. 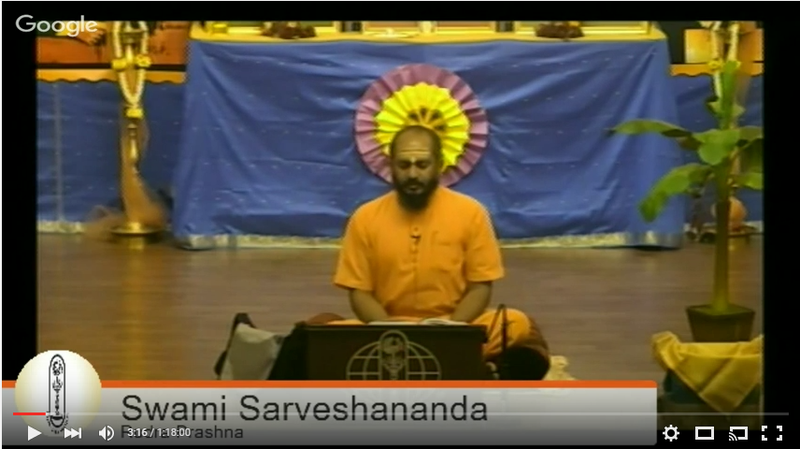 Swamiji taught the Yoga of Synthesis, a harmonious development of the ‘hand’, ‘head’ and ‘heart’ through the practice of Karma Yoga, Jnana Yoga and Bhakti Yoga. Swamiji attained mahasamadhi on the 14th of July 1963 in hiskutir on the banks of the Ganga in Shivanandanagar. Swami Chinmayananda was born on May 8, 1916 as Balakrishna Menon in Ernakulam, Kerala. Chattambi Swamigal a saint known for his yogic powers predicted a great spiritual future for the boy. A major turning point of his life was his meeting with Swami Sivananda. On February 25th, 1949, along with five other students, Balakrishna was initiated into sannyāsa. Swami Sivananda gave him the name “Chinmayananda Saraswati,” Chinmayananda meaning “filled with the bliss of pure Consciousness. Swami Sivananda then sent him to Uttarkashi to study under Swami Tapovan Maharaj. Seven years later, brimming with Vedantic knowledge, with a heart overflowing with love for his countrymen, Swami Chinmayananda was ready to execute what he called the “Gangotri Plan” to spread the message of Vedanta to the masses. By the time he attained mahāsamādhiin August 1993, Gurudev as he is known affectionately by his followers, had conducted 576 jnana yajnas and scores of family oriented spiritual family camps, logging thousands of miles as he traveled across the globe. “If I rest, I rust,” he quipped when asked to slow down. Gurudev is credited with the renaissance of spiritual and cultural values in India and with awakening the rest of the world to the ageless wisdom of Advaita Vedanta as expounded by Adi Shankaracharya. His legacy remains in the form of books, audio and video tapes, schools, and social service projects, Vedanta teachers whom he taught and inspired, and Chinmaya Mission centers around the world serving the spiritual and cultural needs of local communities. He has authored more than 250 books and written commentaries on various scriptural texts. 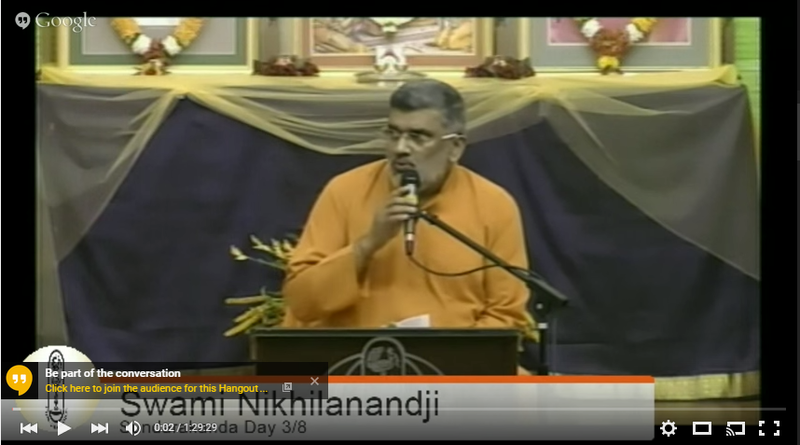 Swami Tejomayananda, the present head of Chinmaya Mission worldwide is fluent in English, Hindi, Marathi and Sanskrit. He has written commentaries on many scriptural texts, translated Swami Chinmayananda’s commentaries into Hindi, and authored a number of original works in Sanskrit. Swamiji excels in expounding upon a wide spectrum of Hindu scriptures, fromRamayāna to the Shrīmad Bhagavad Gīta and the Upanishads. As Gurudev did before him, Guruji, as he is known affectionately, moves around the world at a bewildering pace conducting jnāna yajnas. Sudhakar Kaitwade (as he was previously called) was born in Madhya Pradesh on 30th June 1950. As a student he took a keen interest in music and drama. 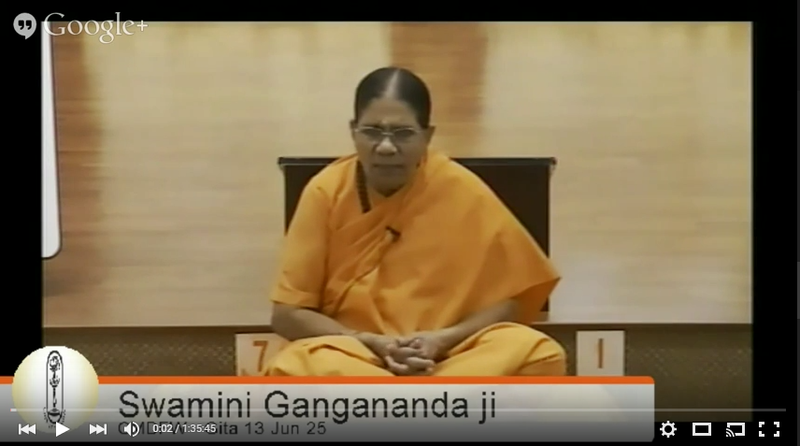 The spiritual call came to him in 1970 when he heard a Gita discourse given by Swami Chinmayananda. He was inspired to join the Vedanta Course at Sandeepany Sadhanalaya in Mumbai. After graduation in 1975, he served in the field for a few years as Brahmachari Vivek Chaitanya and was initiated into sannyāsa by Pujya Gurudev in 1983. This entry was posted in Uncategorized on 10/21/2013 by Jayasudha Uruma.